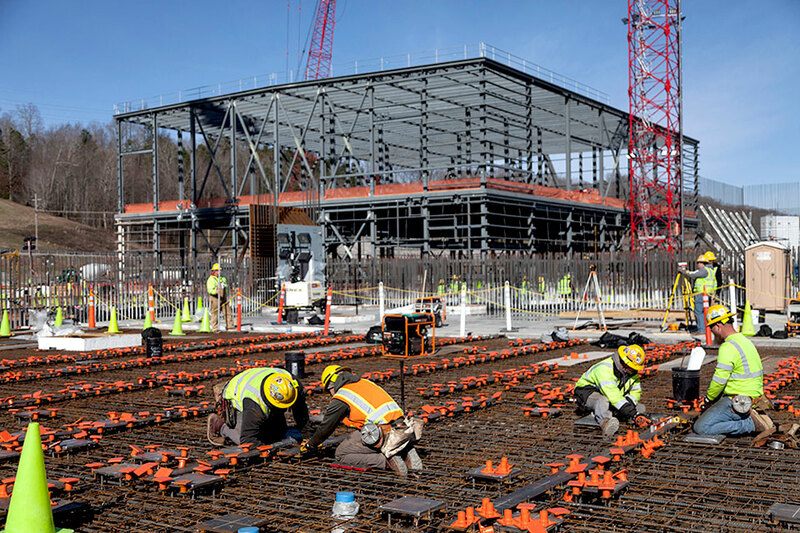 Learn about Y-12’s new story: the Uranium Processing Facility, one of the largest construction projects in Tennessee history. UPF is an essential part of the National Nuclear Security Administration’s modernization efforts. The first major pieces of equipment for the Uranium Processing Facility’s Mechanical Electrical Building were delivered in mid-March. The Uranium Processing Facility Project broke its own record for most funds raised in Tennessee for the Polar Plunge, raising $28,172 for Special Olympics Tennessee. 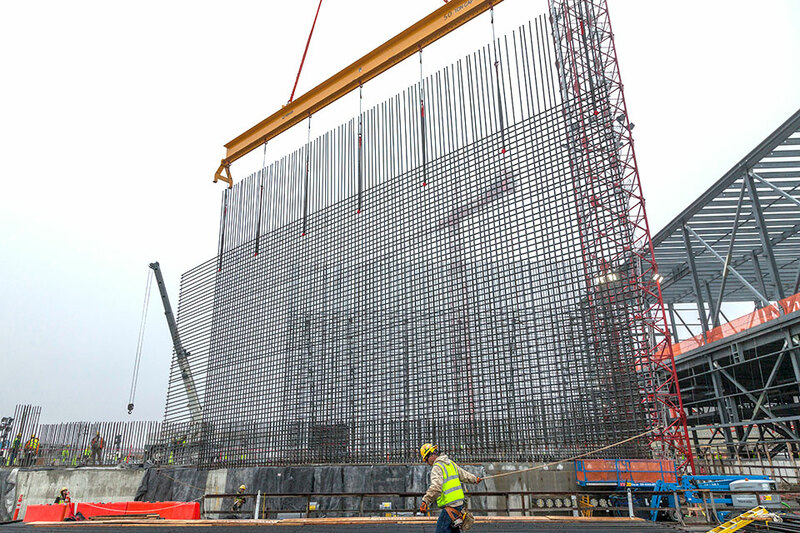 The Uranium Processing Facility project is making progress to replace aging facilities with a modern, more efficient and safer facility for highly-enriched uranium operations. Ironworkers began installing first-level rebar curtain Feb. 4 on the Main Process Building (MPB). The outside rebar layer will be joined by an inside layer for the exterior wall of MPB. Formwork will then be placed outside the curtain and the concrete placed. 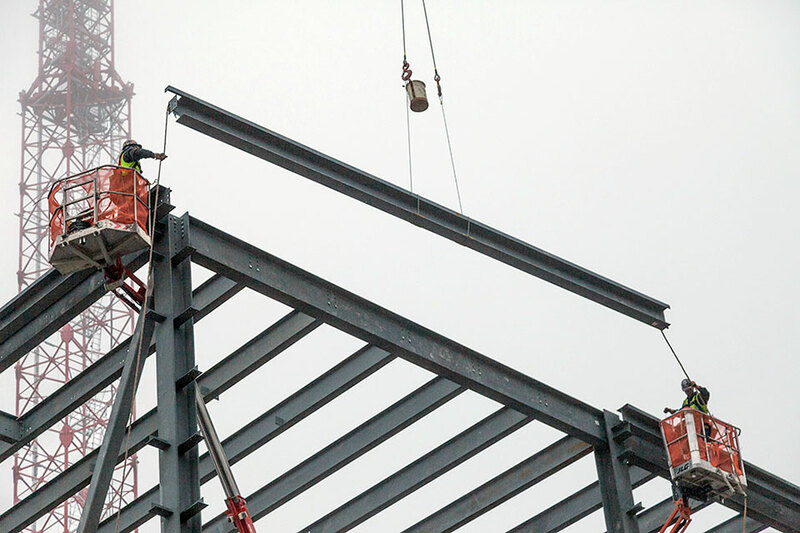 The last piece of structural steel was placed on the Mechanical Electrical Building on Feb. 11. The roof and the panels that make up the walls will be installed next. Completion is scheduled for early summer. 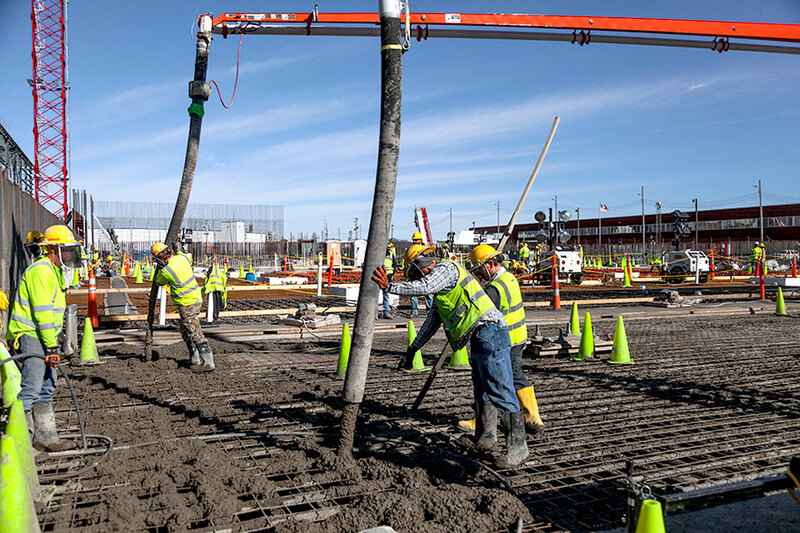 Nearly 24,000 cubic yards of concrete were placed for the slab of the Main Process Building, UPF’s largest facility. Concrete placement for the slab was completed on Feb. 16. Workers placing embed plates for UPF’s Salvage and Accountability Building. The Mechanical Electrical Building is in the background. 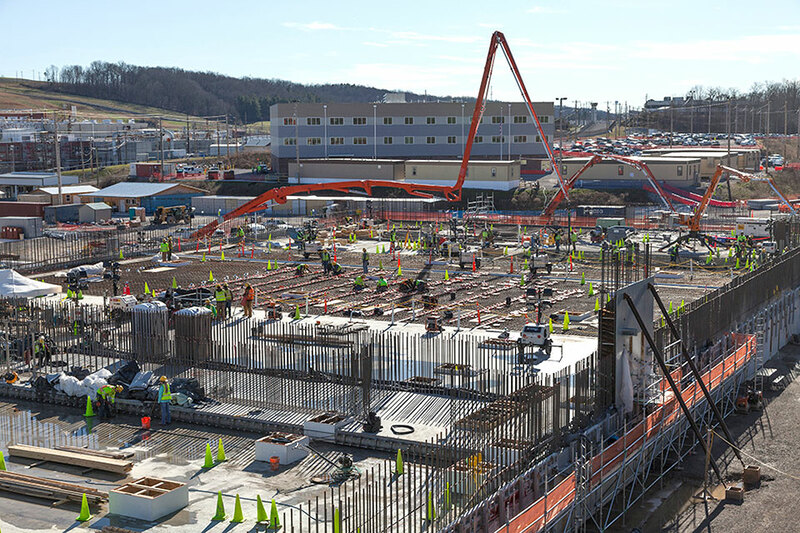 Concrete placements for the base slab of the Main Process Building were completed in February. Nearly 24,000 cubic yards of concrete were used for the slab. 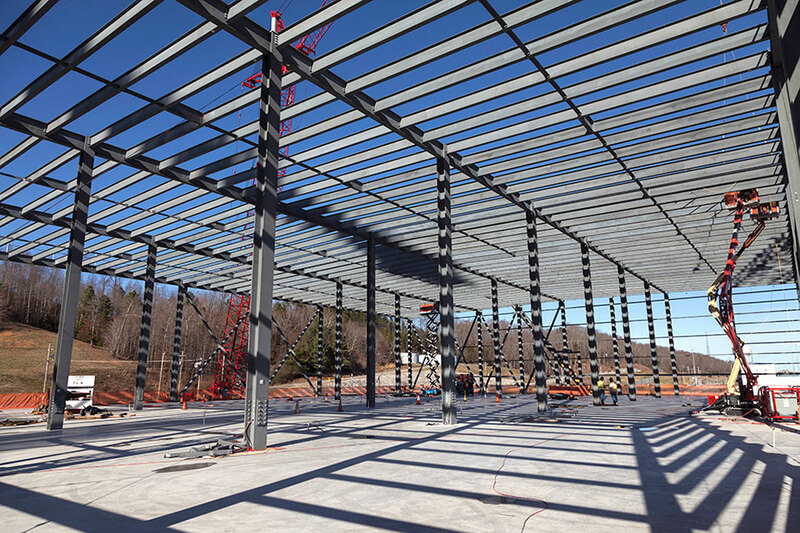 Roof decking and wall panels will be installed on the Mechanical Electrical Building now that structural steel has been placed.